Sometimes the hardest place to try and save money is the grocery store (but you are going to find out how it just might be the easiest!). Prices keep going up and as your family grows up, they tend to eat more. What’s a mom to do? Here are 6 fantastic ways to save money at the grocery store that don’t require too much effort. 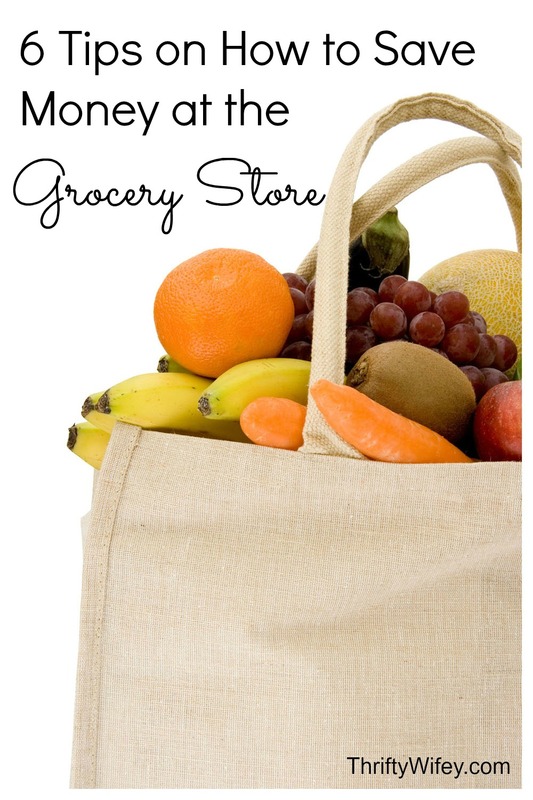 You will get the grocery budget down before you know it! 1) Buy less. Sometimes buying in bulk saves you money, but that is only if you are buying non-perishable items that you use often. I love buying nuts in bulk because I can freeze them if needed and we use a lot. But purchasing too much of one food can mean that most of it will go into the trash. Only buy in bulk if you know you will use that ingredient within the expiration date or if you have room to freeze it all. It’s better to spend a tiny bit more per pound and make sure you use all of something! 2) Make a budget book. Keep track of the groceries you buy often. Make a list of things like bread, butter, milk and all your other regulars and write the prices down for each after your shopping trips. When you do this, you can see how the prices fluctuate from week to week, and you can also compare between grocery stores. Keeping a budget book is also a great way to match savings with coupons and flyers using the average cost of these items, to see if you are really getting a deal (and to know if you should stock up). 3) Buy meat wisely. The meat department might where the bulk of your budget goes. So you might want to try making a few meatless meals to save money. 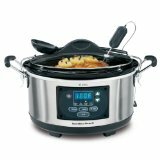 But if your family isn’t going to go for that idea, you may want to consider buy cheaper cuts of meat and make a lot of stews and casseroles (perfect for slow cookers). Sometimes you can get a good deal at the butcher shop for a side of beef (or check local co-ops or even craigslist), but keep in mind you will need a big freezer for this purchase. 4) Do your own processing. It does cost more money to buy products that save you time. So, in order to save more, you may have to put a little elbow grease into your meals. Buy your produce whole and cut it up when you get home. Buy chickens whole and cut them up yourself. For a few weeks, use your budget book to keep track of the regular purchases, then buy your items whole and process them yourself. You might be surprised at the price difference. 5) Buy store brands. Store brands can save you money. Even if you have a coupon for a name brand product, the off brand may be less expensive. Often, when you compare the ingredients and you will see that there really isn’t that much of a difference between name brand and store brand. On the other hand, if you family absolutely hates the store brand, then you aren’t saving money if you have to throw the food away. 6) Always shop with a list. Walking into the grocery store unprepared is a great way to wind up with lots of food you should not buy, and not enough of anything to make a complete meal. On another note.. this is a also a great reason not to shop hungry! There are lots of ways to save money at the grocery store. The six ways mentioned above are easy to make habits of and should show savings the very next time you shop. Thanks for the tips! I think making a really detailed list helps so much! I make my list according to the store's layout so I am not back tracking constantly, which wears on your patience and may cause impulse buys. I have begun couponing over the last year and it does save on some items...but I am now experimenting with trying to stick to mostly store brands instead and only using coupons when it brings a big savings. The key to continually saving money at the grocery store is to stick with these kinds of plans and not get too bummed when you make a mistake.